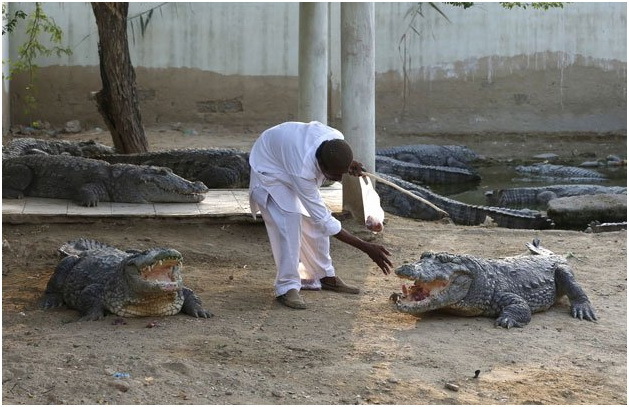 The lean days appear to be over for Mor Sahib, an 87-year-old crocodile venerated by Pakistan’s tiny Sheedi community, as pilgrims once again flock to Manghopir shrine in Karachi that has been shunned for years amid fears of Taliban attacks. The pilgrims are Pakistani Sheedis, whose ancestors came from Africa and are drawn from different Muslim sects, making them a potential target for hard-line militants who want to impose their strict interpretation of Islam on others. The Taliban sympathisers interpreted Islam to mean that there was no place for crocodiles, around 100 of which inhabit the shrine’s pond. 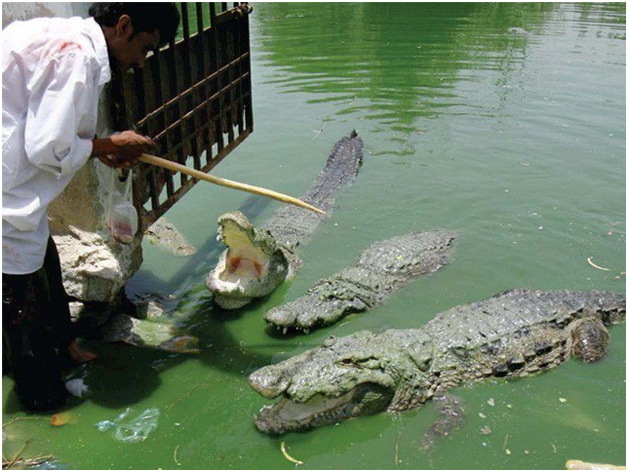 The site closed for 10 months in 2010 and a charity fed the crocodiles in secret.The community believes the crocodiles living in the shrine’s pond are the disciples of saints. The shrine quietly reopened in 2011, but only a handful of worshippers dared come. Gradually, improving security meant 100 people might turn up on a busy day in 2014. Now crowds of more than 1,000 flock to the shrine several days each week.